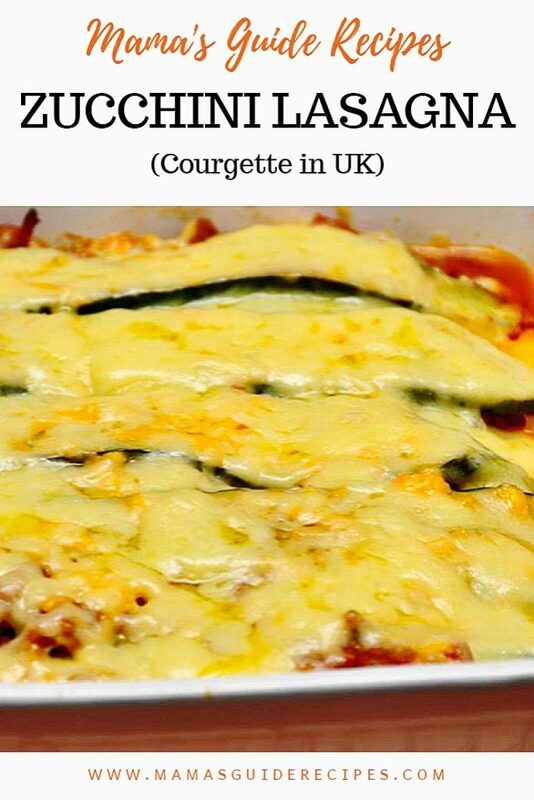 This Zucchini Lasagna recipe is so delicious! You won’t even miss the noodles and it’s a perfect dish for hosting friends at home or simple family dinner. Your kids wont even know there is no noodles in it. You know how easy this was to put together? Basically Meat, Cheese, and Zucchini maybe a little more cheese. Oh and tomato sauce too. Then top it off with just a little more cheese. Have I mentioned the cheese part, parmesan (stinky cheese) and chopped Basil. Overall, you can use any kind of cheese you want. Even the processed cheese is ok too. Slice zucchini into 1/8″ thick slices. In a Grill or grill pan, grill zucchini on each side, until cooked, about 1-2 minutes per side. Place on paper towels to soak any excess moisture. The goal is to remove the juice from zucchini. Or if griller is not possible, lay it on a paper towels, season with pinch of salt and let it stand for 30 minutes to absorb liquid or juice. Press it down and cover with layers of paper towels until the juice is drained out. Set it aside. In a pan, brown meat and season with salt. Once cooked, strain the beef to remove excess fats or oil. In the same pan, heat oil and saute garlic and onions for about 2 minutes. Add back the ground meat to the pan, add tomatoes, basil, oregano, thyme, salt and pepper. Simmer over low heat for about 30-40 minutes with cover. Also, no need to add extra water because sauce should be thick. Turn off heat and set aside. In a medium bowl combine cottage cheese, mozzarella cheese and egg. Stir well. In a 9×12 casserole spread some sauce on the bottom and layer the zucchini on top for the second layer. 3rd layer, add some of the cottage and mozzarella cheese mixture. Repeat the process of layering until all of your ingredients are used up. Final layer should be mozzarella and cottage cheese. and put it in the oven for about 30 minutes.